You Win! 10 Points Good job! Bound to the Earth 25 Points Oh my goodNess! Rank GAPI 50 Points You Won! Rank RBH 50 Points You Won! Rank RPE 50 Points You Won! LOLOLOL!!! 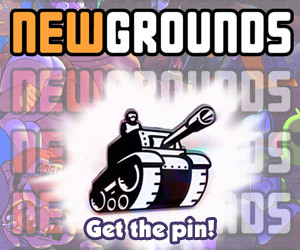 !11 5 Points Secret Medal: Unlock this medal to view its details! Hunter/Prey 100 Points Kick 30 mines against a boss. Fat Runner 25 Points Secret Medal: Unlock this medal to view its details! The cake is a lie. 25 Points Secret Medal: Unlock this medal to view its details! Lucky User 50 Points Secret Medal: Unlock this medal to view its details! The Great Creator 50 Points Secret Medal: Unlock this medal to view its details! Run the Line 100 Points Secret Medal: Unlock this medal to view its details! YOU WIN!!! 100 Points Secret Medal: Unlock this medal to view its details! Cyborg 10 Points Secret Medal: Unlock this medal to view its details! Lung Cancer 10 Points Secret Medal: Unlock this medal to view its details! Street Fighter 10 Points Secret Medal: Unlock this medal to view its details! FINISH THE CHAT! 25 Points Secret Medal: Unlock this medal to view its details! Tacoman 25 Points Secret Medal: Unlock this medal to view its details! I couldn't think of one 50 Points Secret Medal: Unlock this medal to view its details! Tea and Crumpets 50 Points Secret Medal: Unlock this medal to view its details! What The Duck? 50 Points Secret Medal: Unlock this medal to view its details!